MORE than half of Queensland parents say their child has been bullied in the past year - a 10 per cent increase on the previous year, new research has revealed. But parents are also reporting an increase in sibling bullying, particularly in families with children aged six and over. 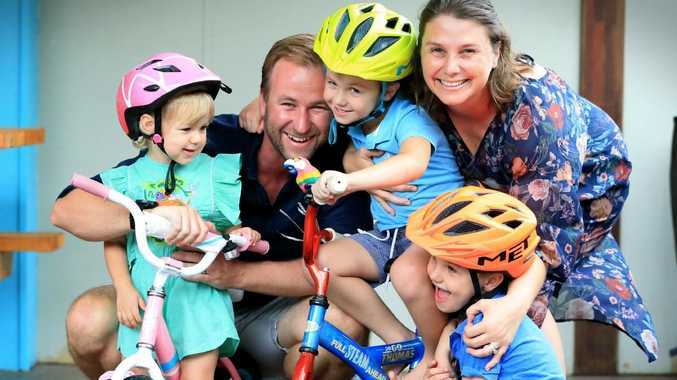 The Sunday Mail has partnered with parenting experts at Triple P and Channel 7 to reveal parents' top concerns when raising their kids, and to empower them to know they are not alone in their struggles. Interim results reveal more than 50 per cent of parents say their child was bullied in the past year, with 44 per cent saying their child was bullied in person by another child. There was also a 10 per cent increase over the past 12 months in the number of parents reporting sibling bullying. Triple P founder and clinical psychologist Matt Sanders said it wasn't clear whether the rise in the reporting of bullying was a real increase or a result of more media attention and awareness around the issue. "What is clear from the results coming in so far, however, is that parents regard sibling conflict as a significant issue," he said. "The most important thing parents can do is be mindful of their own behaviour and how they personally treat and speak about others." He said rather than ignoring bullying, parents could step in and remind children of the rules and ask them to try again and practise the correct way of dealing with a situation. Ashgrove mother Julie Keating said she reminded her children "many times a day" to be kind, gentle, and to share and include others. "It's important that our children are kind, considerate and look out for each other," she said. "We step in when sibling rumbling starts to turn rough but with three children, it does happen many times a day."